Early in 2011, the designer/director Simon Scullion approached me about staging my short story The Proceedings of that Night, a postmodern-ish kind of ghost story that had been first broadcast on Radio 4 eight years earlier. My initial reaction was that it wouldn’t work (I have terrific instincts in such matters). I said that what worked about the story was that it was a story that turned into a play; if you stage it as a play, there’s no surprise. But Simon didn’t see a problem. He saw it as a play and asked if he could go ahead anyway. Luckily, I said yes. The result was a half-hour slot at the Pleasance Courtyard in the 2011 Edinburgh festival, with Martin Miller terrific as the hapless actor caught up in the story he is reading down a line to a remote studio. When I wrote Hell’s Bells for Edinburgh 2012, I decided to keep the studio/headphones theme. If we ever stage the two plays together, there will be great economy of props. A short, sharp, high-concept half-hour of ghostly thriller that’s well worth the small investment of time it requires … impressively well staged and acted, it’s like The Ring with a Radio 4 accent. Altogether, this play just clicks. It’s short, concise, funny, well thought out and well performed. What more could you ask from a show at the fringe? 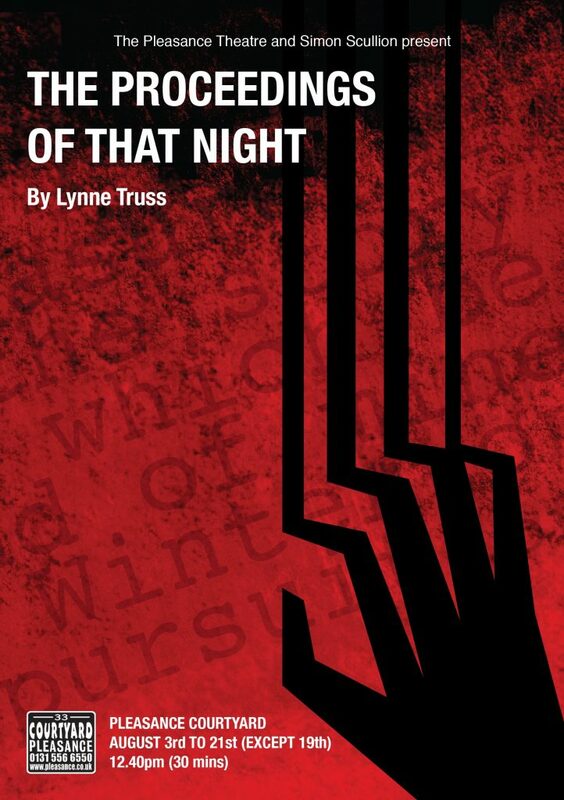 This short play was very well written and acted, and the audience got a great sense of the isolation of the reader alone in the studio on a dark and stormy night. His fantastic story-telling had the whole audience captivated from start to finish, resulting in a slightly stunned silence at the end of the performance.